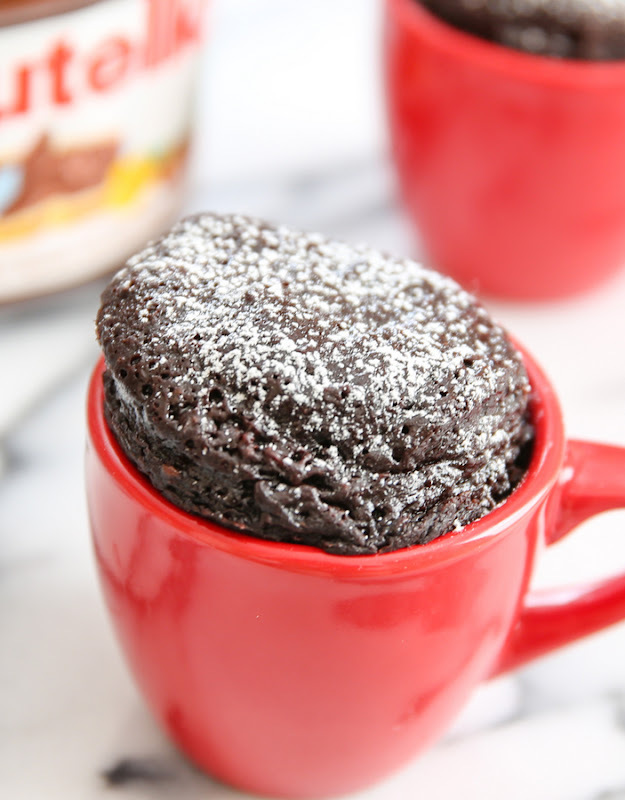 This single serving Nutella mug cake is ridiculously easy to make with just 3 ingredients. It’s rich, dense, chocolatey and everything a flourless cake should be. 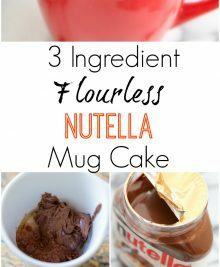 You may recall earlier last year I posted my 2 Ingredient Flourless Nutella Mug Cake, a recipe I created for my 5-Minute Mug Cakes* cookbook. It remains one of my favorite recipes to date, but a lot of readers were avoiding it because the recipe requires the cake to rest for several hours (even though it only takes 5 minutes to make). Well, I listened and set about creating a version that doesn’t need a long wait time. This cake only requires you to wait 15 minutes. You can do that right? It took quite a few tries and the opening of a new jar of Nutella, but I did it. 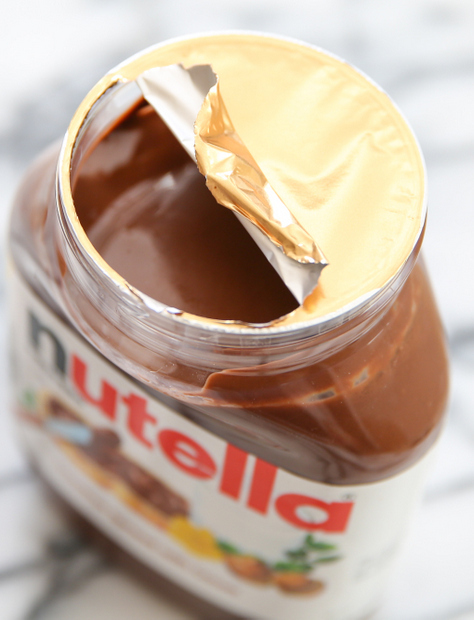 I confess, I adore opening a new jar of Nutella. Whoever came up with the packaging is genius, using that gold foil seal. Every time I open it, it’s like tearing into a present. 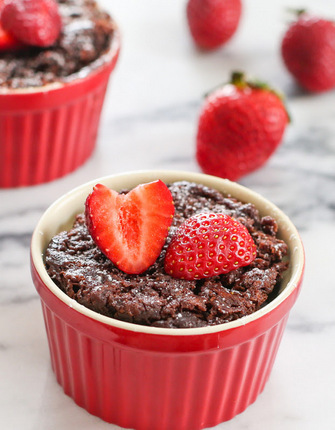 This version is little more chocolate intense and not as Nutella-y as the original 2 ingredient version, but it’s delicious and the trade-off is that you can eat it right away. The cake is not overly sweet, tasting like melted dark bittersweet chocolate. If you like yours to be more sugary, you can always drizzle some chocolate syrup on top. I topped mine with a simple powdered sugar. Because this cake is so rich, the portion is small. 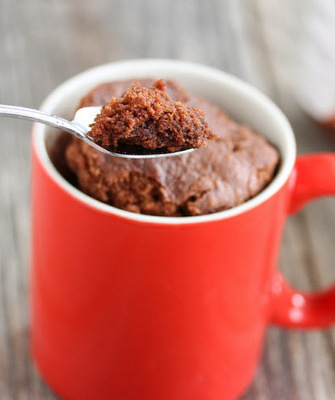 When the cake cooks, it will rise quite a bit so you’ll need to cook it in an oversized mug. After it’s done cooking, it starts to shrink down and condense. Once you let it settle for a few minutes, you can scoop it out and plate it in smaller mugs or dessert plates. I bought these adorable espresso sized mugs to plate mine in. 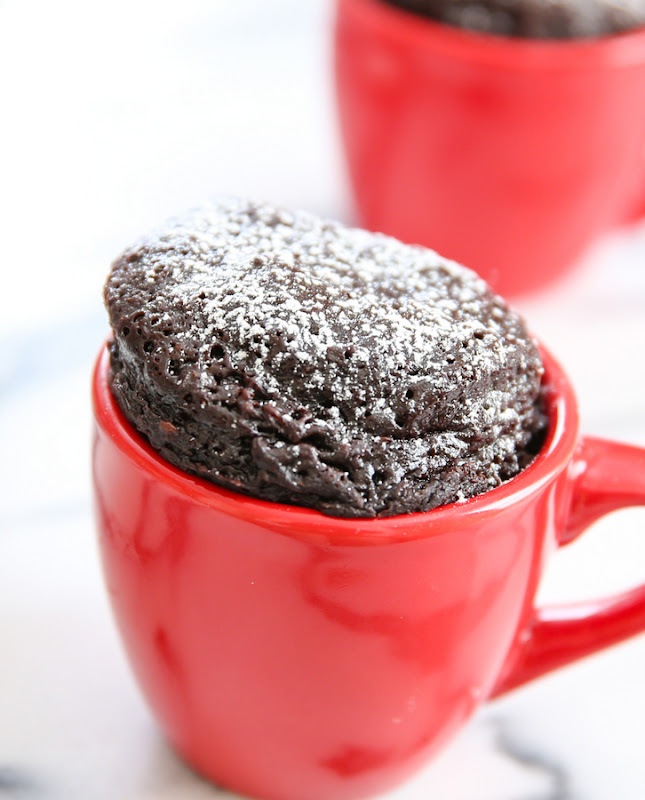 This single serving Nutella mug cake is ridiculously easy to make with just 3 ingredients. It's rich, dense, chocolatey and everything a flourless cake should be. 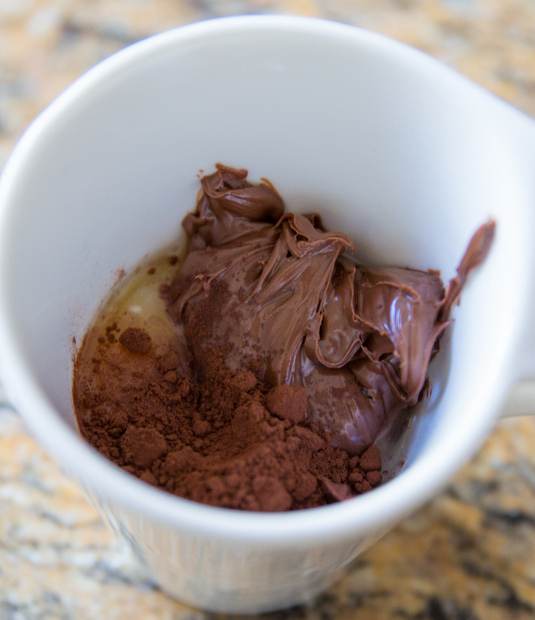 Combine all ingredients in an oversized microwave-safe mug. Mix vigorously with a small whisk until batter is smooth and the egg has been completely mixed in. Cook in the microwave for about 1 minute 10 seconds. The cake should be set but may be slightly wet on top. Let cake cool for 15 minutes before serving. The cake will condense down during this cooling process. You can replate in a smaller mug/plate/ramekin before serving. You can top with powdered sugar or chocolate syrup. 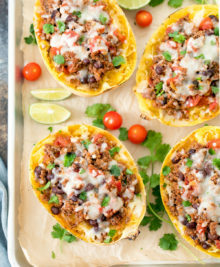 If you enjoy this recipe, check out my cookbook and these other recipes! 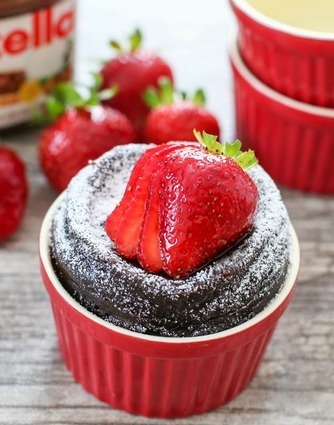 This looks super yummy, and so fast for a quick treat! Unfortunately, I’ve just sold my ancient microwave and still haven’t bought a new one yet….is it possible to cook this in the oven? I don’t think it will work in the oven. This looks soooo good and sounds so easy too, which is always a plus. Can I use natural cocoa powder instead of the dutched one? Just made this and it was nice. Is it meant to be a fudgy texture? 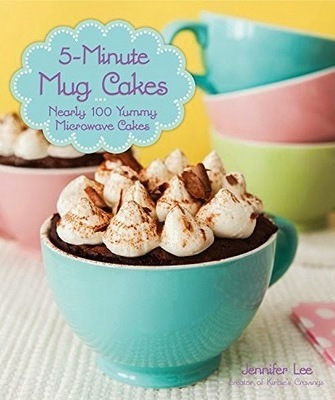 I tried this recipe, but the batter never grew as a cake, but just got spilled in the mug, very strange. Is there any trick? make sure you thoroughly mix the batter with a whisk. The egg has to be completely mixed in. You should spoon up the batter a few times and make sure there are no unmixed egg streaks. Also, you are cooking this in the microwave right? because it won’t work the same in an oven. 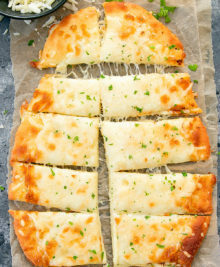 Kudos for posting this amazingly easy and delicious recipe. The hardest part is to let the mug cake rest for 15 minutes ???? delish! Don’t you need to grease the sides of the mug? What setting on the microwave, i.e., HIGH? you don’t need to grease it. the cake will pull away from the edges of the mug on its own. Also, not sure where you are writing from, but I just used the full regular power on my microwave, no need to adjust setting. aww, thank you for the very kind words!! I love how it’s so easy but mine didn’t rise. It raised in the microwave but went back down. Is there a way I can make it better? Hi, you can try to cook it a little longer. Yours might have needed some more time in the microwave. However, keep in mind this cake is supposed to rise and then condense back down. Much like other flourless cakes, it should be more dense than fluffy. I describe the size more in detail in my post. After I cooked it, I then put them into espresso mugs for plating because they do shrink quite a bit. You can see the photo of it on the plate to get an idea of how tall it was once it was done shrinking. Thank you for posting this! It was surprisingly good! Hii! 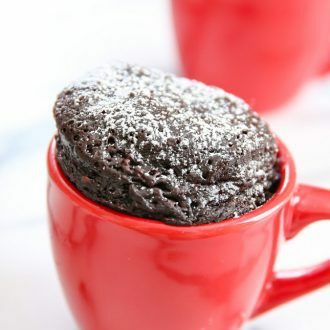 I’ve recently started experimenting with baking / microwave mug cake recipes…this is THE ONLY recipe so far that has gone into my personal reference cookbook 🙂 thank you so much for sharing…amazingly simple to make! And it’s just too delicious for words! I topped it with some condensed milk (ouch my diet! )…to heaven and back! Yum!???? yay!!! Hope you’ll try out some of my others! used a bit of hot cocoa powder, made 2 for myself at work =X THANK YOU! Just made this again tonight! Lovely! I added 1/2 teaspoon vanilla, and whipped the egg before adding other ingredients. Texture is amazing. I had to cook mine a bit longer, it still came out fantastic. I’m so happy to hear that! This one is one of my all time favorites! Thank you so much for the AMAZING recipe! 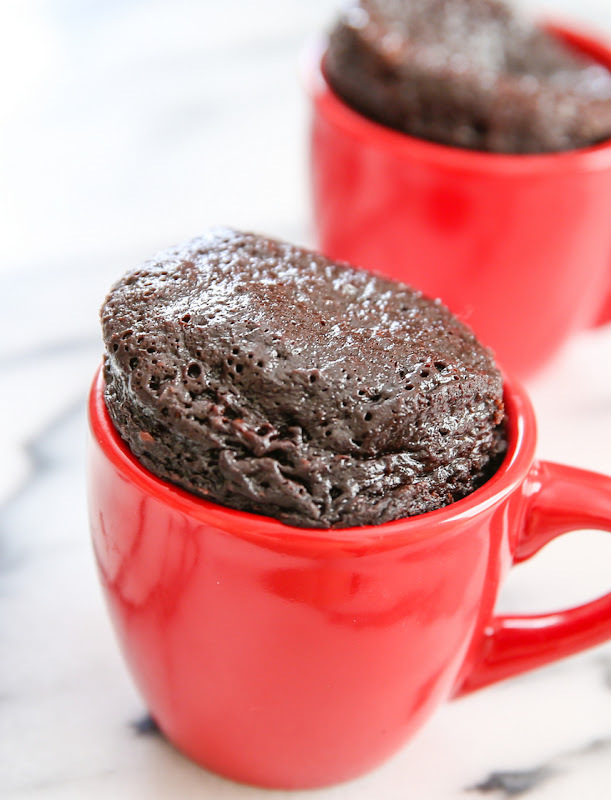 this is by far the best mug cake recipe I’ve tried! 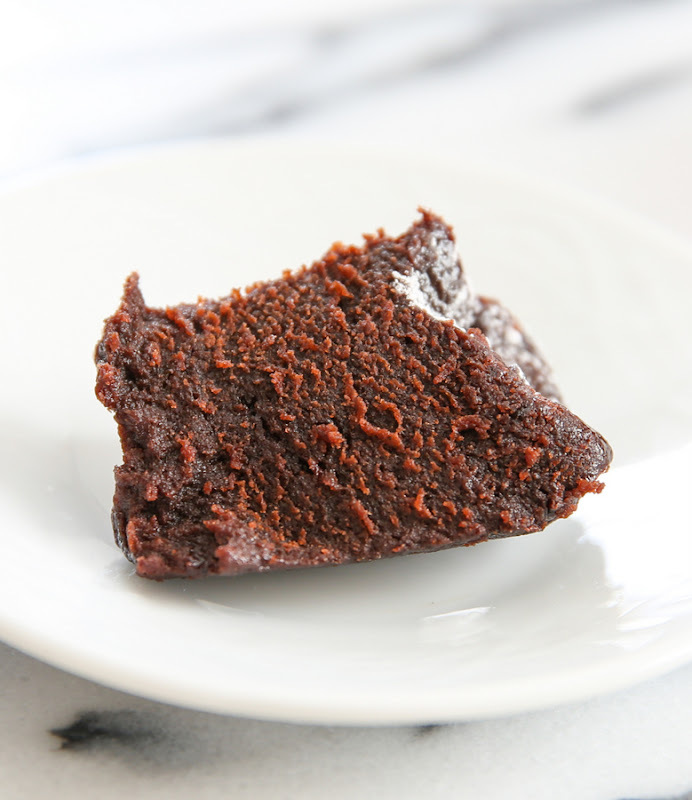 I didn’t have dutch processed cocoa powder, so I just used natural cocoa powder, and it still tasted great! Thanks again. I’m so glad! This is by far one of my favorites! You had me up until the “wait 15 minutes” part… ???? I know it’s hard, but it gives the cake some time to settle and the flavor will be so much richer! Hi! Can we use coffee powder as a substitute for cocoa powder ? I know it will taste a bit different but will the results be same ? Adding that much coffee powder will likely cause the cake to be too bitter. 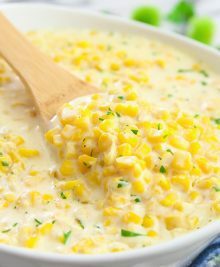 Just found this site and recipe. Didn’t get much rise from the cake, probably due to using a soup mug. Could of gotten better results if I’d tripled or quadrupled recipe or used smaller mug. Otherwise the cake is good for a chocoholic fix. I absolutely love this recipe. By far the best. 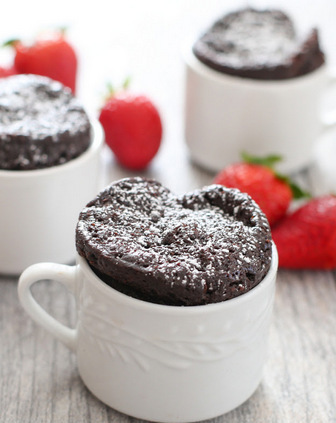 I recently started making mug cakes because I have been craving something warm and chocolatey. All of the recipes that I tried came out rubbery. ? However, this one came out perfect! Absolutely perfect! Totally recommend it. I switched up the ingredients a bit… instead of dutch pressed cocoa (I have no clue what that is… lol) I actually used Nestle Quick cocoa powder… it worked fantastic! Thank You soooooo for this recipe! ????????? ?